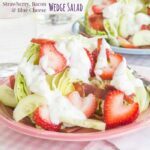 A simple side salad with sweet and savory, smoky and salty flavors perfect for pizza night or with grilled chicken. When it’s pizza night in your house, you want to keep things simple and fun. 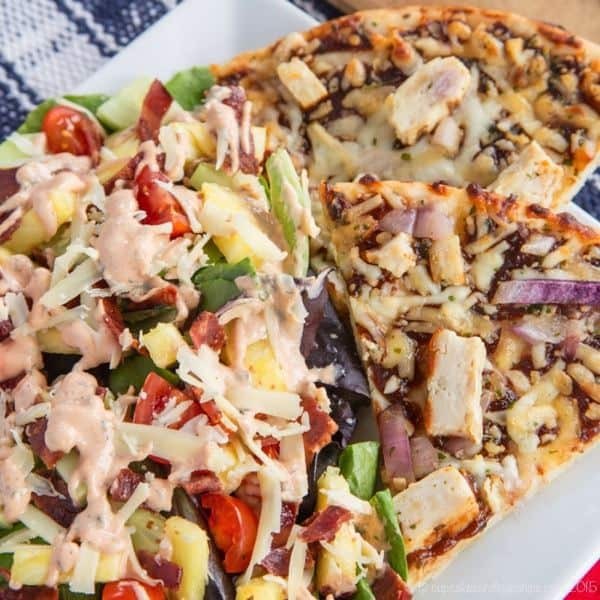 Just put a California Pizza Kitchen Gluten-Free Crispy Thin Crust pizza in the oven, then get inspired by this recipe and all of the food and drink pairing ideas on CPKFrozen.com. 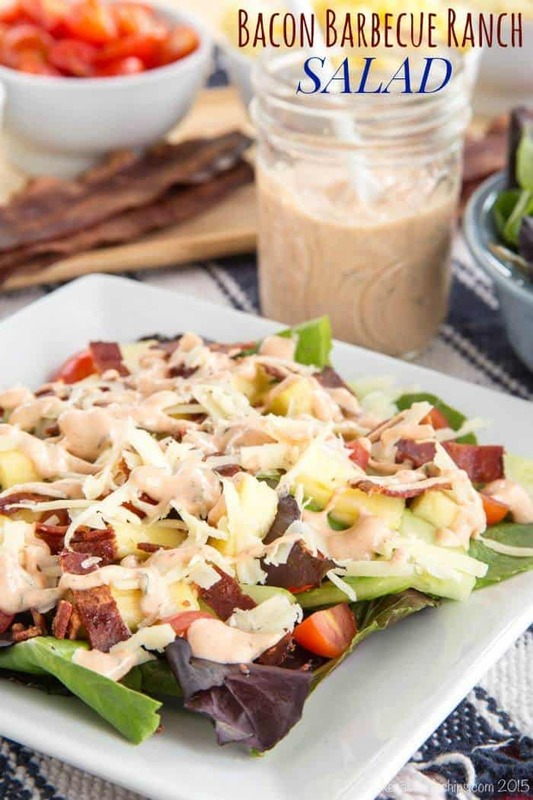 After you’ve stirred up a simple dressing and put bowls of salad fixin’s on the table, adults and kids alike will race to the table to enjoy a Gluten-Free Crispy Thin Crust BBQ Recipe Chicken Pizza and this Bacon Barbecue Ranch Salad. Disclaimer: This post is sponsored by California Pizza Kitchen oven-ready pizzas. ranching out to loving new and creative flavor combinations as an adult. Yes, this former pizza purist is all about changing it up with different sauces, cheeses, veggies, and meats. And though there was a time I could fulfill my personal pizza quota with a slice or two every few months, now I’d be happy to enjoy it weekly. Since I found out I had a wheat allergy, though, I’ve had to find new options for pizza night. Luckily California Pizza Kitchen has come to my rescue with this new line of oven-ready pizzas. I want creative flavors made with high quality ingredients. I want simple. And I don’t want gluten. These new options from California Pizza Kitchen have all three! 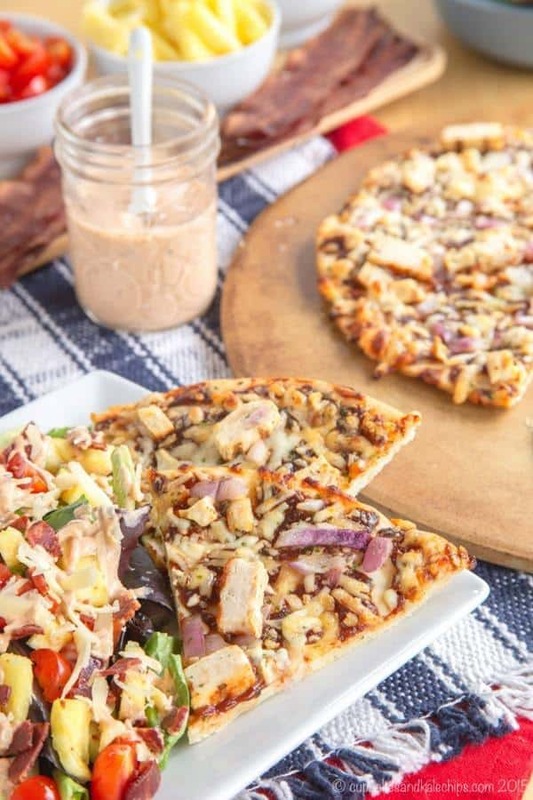 In BBQ Recipe Chicken and Margherita varieties, the Gluten-Free Crispy Thin Crust pizzas have the restaurant-inspired flavors you want, with premium ingredients and no artificial flavors atop a preservative-free crust. 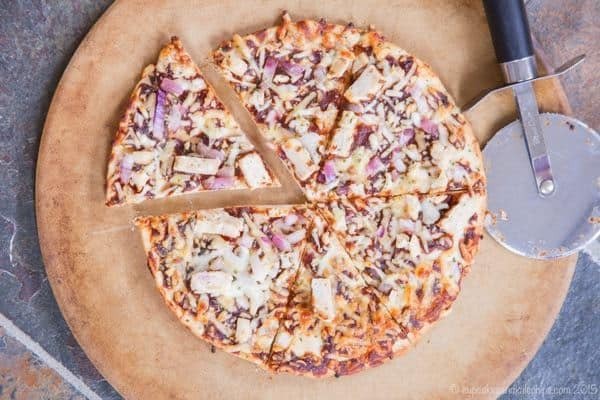 The family and I recently tried the Gluten-Free Crispy Thin Crust BBQ Recipe Chicken pizza, and we loved it. I love thin and crispy crusts, and this did not disappoint – crunchy without being hard, and not floppy or flimsy at all. 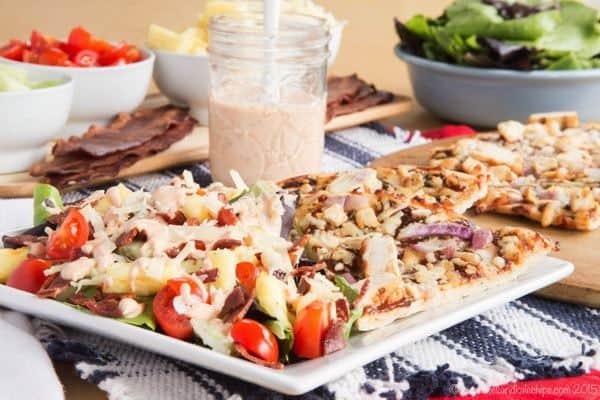 The barbecue sauce had just the right balance of sweetness and tang, traditional mozzarella gave it the gooey factor, with smoked gouda perfectly complementing the barbecue flavor. And then just look at those gorgeous red onions and the golden brown color after you bake it. The Hubby, even though he does not have any wheat sensitivities, said that he would be happy to eat this pizza anytime. And now that I’m a full-fledged foodie with a passion for pizza, I definitely know that the star of the show, the pizza, shines even brighter when paired with the right supporting cast. It’s all about thinking outside the pizza box and making some unique choices to take pizza to the next level. Maybe you want to start your meal with a simple soup, or some veggies and dip. Perhaps it’s about making the ultimate side salad. And what completes a meal better than the right wine pairing? Yes, it’s pizza night gone gourmet! And if you need ideas, you’ll find plenty of inspiration on CPKFrozen.com. 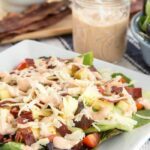 Bacon Barbecue Ranch Salad was exactly what we needed. 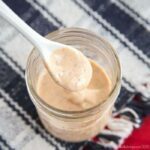 It was a perfect match with its sweet, savory, smoky, and salty components, all tied together with than classic creamy Ranch dressing kicked up a bit by adding a touch of barbecue sauce. This gave it a similar flavor element to the pizza, but with a freshness from the vegetables and pineapple to be a perfectly contrasting balance. Then of course you get that bit of crunch from the bacon and the sharp bite of cheddar cheese. And what beverage did this meal call for – how about a nice glass of Zinfandel, perhaps? Even if you are elevating pizza night to foodie status with some gourmet twists, when it’s a family affair, you still want to keep things easy. So I just set out the pizza and bowls of salad toppings and let everyone create their own, making it totally fun, interactive, and super simple! Now that’s a party! 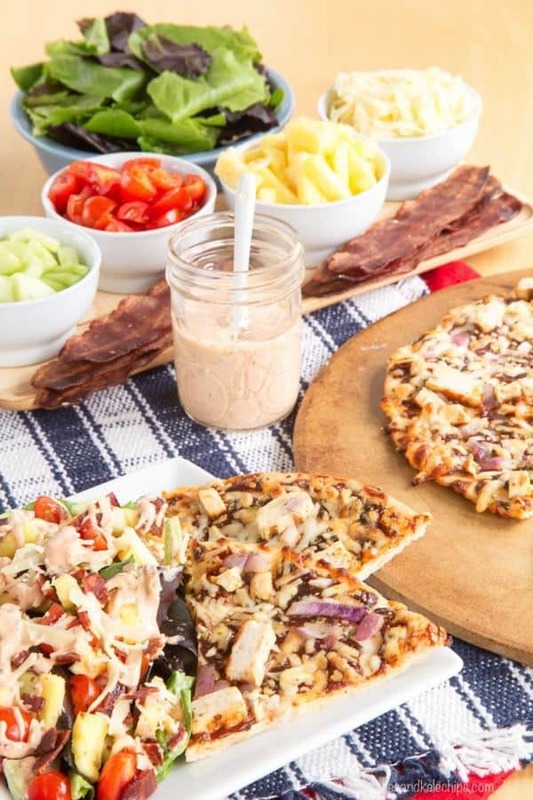 A perfectly paired pizza party, thanks to oven ready pizzas from California Pizza Kitchen. What do you love to eat and drink with your pizza? Place all ingredients in bowls to set up a salad bar. 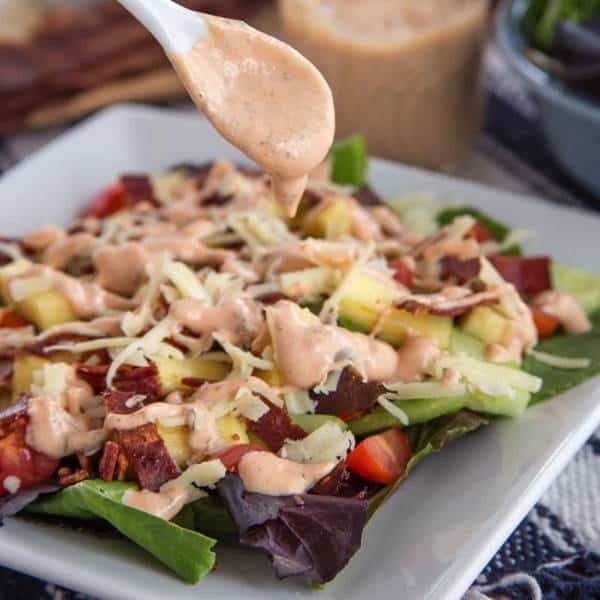 For each side salad, use 1-2 cups lettuce, 1/4 cup tomatoes, 1/4 cup cucumbers, 1/4 cup pineapple, 2 slices bacon, 2 Tablespoons cheese, and 1-2 Tablespoons dressing.